Pizzeoli is a Neapolitan-style pizzeria started by Scott Sandler in the historic locality of Soulard in St. Louis, Missouri. 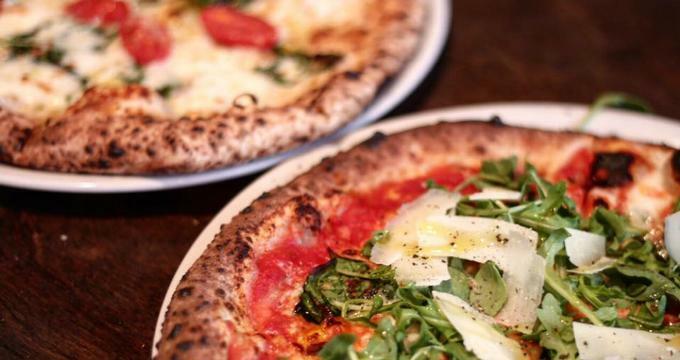 This casual restaurant serves traditional Neapolitan-style pizzas baked in a contemporary wood-fired oven. Along with pizzas that are made with vegetarian and vegan toppings, the restaurant also offers salads, desserts, soft drinks, wines, and craft beer. 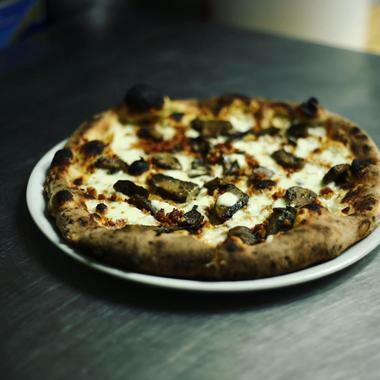 Neapolitan pizza originated in the 1600s in Naples, Italy. These pizzas use “00” flour made of finely ground natural wheat. The topping consists of freshly minced tomatoes and homemade mozzarella. The pizza is baked at 800 degrees for 60-90 seconds in a special domed fire oven. 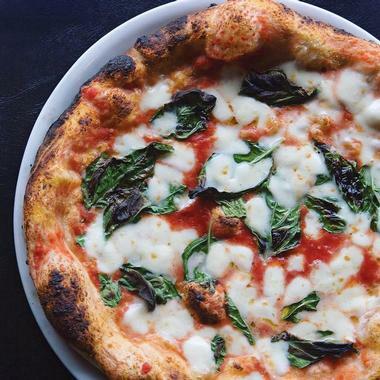 · Pizzas - Pizzeoli’s signature 12-inch Neapolitan pizza ranges from the traditional Red varieties with tomato sauce are named Napoli, Soulard, The New York, margherita, funghi, pepperoni, and kids cheese. White pizzas without tomato sauce include the bianca, pomodorini, funghi, and affumicata. The vegan pizzas without dairy products are named the Magic Mushroom, Vegan Marinara, Vegan’s Delight, and the Baba Pizza with cashew “ricotta”. · Salad - House salad with fresh greens, red onion, grape tomatoes, shaved Parmesan, and balsamic vinaigrette dressing. Italian sparkling water, and apple juice served in bottles, cans, and glasses. · Wine - The restaurant’s wine list offers around six varieties of white and red wines sold by the glass as well as by the bottle. · Craft Beer - The craft beer menu features six local beers offered on tap. Selections for the day are displayed on the menu board every day. Pizzeoli organizes in-house events like Industry Nights, Pizzeoli’s Anniversary Nights, Pizzeoli’s Birthday Parties, All-Day Beer Bucket Specials, Pie and a Pint Specials Nights, New Beer Releases, Perennial Artisan Ales Events, and Beer Dinner Nights, which showcase several popular breweries from around the locality. The restaurant publishes open invites on its website for guests to join the events. Every event features a new Deal of the Day for guests. Patrons are not required to make reservations to visit Pizzeoli as the restaurant welcomes walk-in guests. Pizzeoli is open from 11:30am to 1:30pm and 5:00pm to 9:00pm on Tuesday, Wednesday, and Thursday. On Fridays they are open from 11:30am to 1:30pm and 5:00pm to 9:30pm. Saturday's operating hours are from 11:30am to 3:00pm and 5:00pm to 9:30pm. The pizzeria remains closed on Sundays and Mondays.